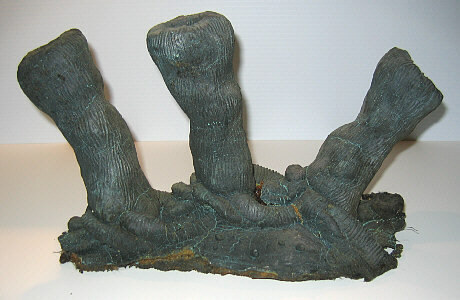 Costume component used in the Doctor Who story "Dragonfire" staring Sylvester McCoy as the Doctor , Bonnie Langford as Mel and Sophie Aldred as Ace. This 24th season, three part serial (7g) was first transmitted on 11/23/87. The story features Tony Selby as Glitz the lovable petty thief and Edward Peel playing Kane the villainous station director. 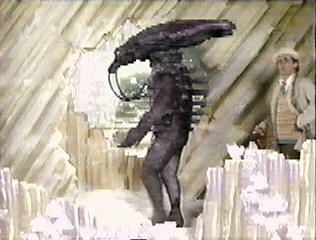 This is a fragment of the Bio-Mechanoid Creature costume, a central character in the story. This foam filled latex component was the top part of the spine, which is seen projecting from the back. There are two Velcro strips on the base of the spine segment, which held it to the back torso of the costume. 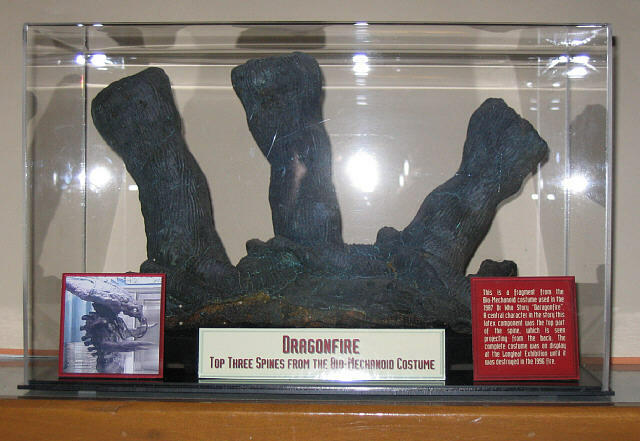 Badly damaged in the 1996 Longleat exhibit fire the costume was removed from public display. The only other remaining parts of this costume known to exist were discarded in the rubbish when the Dapol Doctor Who Exhibition closed down in 2003. The mechanical special affects head, used to film the power source being exposed, can be seen at the new Blackpool exhibition. 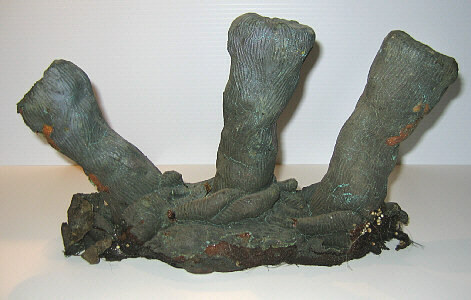 Sadly this spine segment may well be the last piece of the costume worn by Leslie Meadows in his portrayal of the creature. 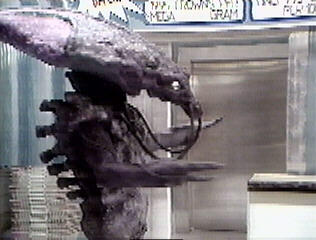 The Doctor unravels the mystery surrounding the imposing creature that is thought to be lurking deep in the Ice forest. Ace, Mel and Glitz do their best to help while rebuffing the unrelenting assaults of the evil Kane's campaign to escape his life sentence on the planet Svartos..
After the shooting of Dragonfire completed the Bio Mechanoid costume was on display until it was badly damaged in the 1996 Longleat Exhibition fire. One of the very few remaining pieces from the costume, this back spine section was sold off at the 1997 Longleat charity auction (item 45) where it was purchased by Andrew Winnington. I purchased the spine from Andrew in June 2005 where it is now on display in my Virginia collection. The display is made from a 16"X10"X7" commercially made acrylic display case. The descriptive placards and label were created using Micorgraphics Picture Publisher and mounted on foam core board where they sit on the bottom of the case.